Are you an avid golfer? Wouldn’t it be great to have a first-class golf course in your backyard? Even better, in a location with year-round weather conditions favorable for golfing? If this sounds good to you, you will want to check out the wide variety of North Scottsdale golf communities dotting the Arizona landscape. Whether you are a retiree, have a young family, or anything in between, you can find the perfect community to settle in. Not sure which one to choose? 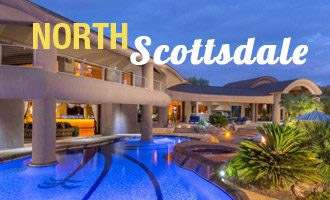 Here is a list of North Scottsdale’s most desirable golf communities. Featuring a wide variety of housing options ranging from villas and condos to beautiful custom homes with amazing views nestled in guard-gated neighborhoods, this expansive community boasts its own K-8 school, two large community centers, and a private country club with an 18-hole golf course designed by John Fought and Tom Lehman. Residents will enjoy upscale shopping, dining, and more on Market Street, which is conveniently located within DC Ranch. Silverleaf is an exclusive gate-guarded enclave within the DC Ranch. 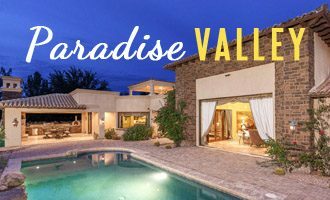 This elegant community is tucked within the McDowell Mountains and is a stand-out with beautiful views of the golf course or valley and lots ranging from 1-35 acres. The private Silverleaf Golf Club boasts an 18-hole golf course designed by Tom Weiskopf. Ample manicured green space and sidewalks provide the opportunity for exercise and socializing. This luxury guard-gated community located south of Pinnacle Peak provides fantastic mountain views to its residents. Designed to be small, this 850-acre community with 560 homesites was developed to allow residents to form close friendships with neighbors. The Desert Highlands features a private member-owned 18-hole Jack Nicklaus golf course, a beautiful clubhouse with fitness center, pools, a putting course, walking and hiking trails, and tennis courts. An 8,000-acre guard-gated community bordering Carefree and the Tonto National Forest, the neighborhoods in this luxury community boast unrivaled views of Desert Mountain. A variety of high-end homes are available ranging from 2-bedroom casitas to large custom estates. Many of the neighborhoods border the community’s six Jack Nicklaus golf courses. There are also six clubhouses, parks and trails, a fitness center and spa, a tennis facility, swimming pools, and a variety of social activities for residents to take part in. A highly exclusive, elegant 640-acre community located near Pinnacle Peak, Estancia offers villas and stunning custom homes with 1-3 acres where residents enjoy beautiful views, a rolling landscape, a golf club featuring an award-winning 18-hole Tom Fazio course, clubhouse, fitness center, tennis and pro shop, and a pool. There are also casual and fine dining options. This charming high-end community features two distinct neighborhoods, The Retreat and The Park, which each have their own sub-neighborhoods and housing options. The Retreat neighborhood is guard-gated with custom homes that surround the famous Talon Course (designed by Tom Fazio) and Raptor Course (designed by David Graham and Gary Panks), which are open to the public. The Park neighborhood features single-family homes with plenty of green space for exercise, play, and socializing. 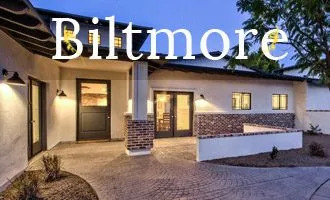 The Grayhawk has condos, townhomes, and single-family homes available. Families will appreciate the convenience of Grayhawk’s elementary school. This 640-acre community, featuring several housing options and communities within, boasts an excellent public golf course designed by Rees Jones, amenities that rival a private club, and a pro shop. Because of its higher elevation in Northeast Scottsdale, temperatures are slightly cooler during the summer months than what you would find in the rest of the Valley. A 713-acre private luxury golf community in the higher elevation of far North Scottsdale, the Mirabel features spectacular views of the valley below and slightly cooler summer temperatures compared to homes in the Valley. With custom homes, homesites, and production homes available, you can find the perfect housing option. The Mirabel Club is private and features an 18-hole course designed by Tom Fazio and a clubhouse design inspired by Frank Lloyd Wright. The property also has a fitness center, spa, and a pool for laps or relaxation. Casual and elegant dining options are available on-site. Abundant social activities and other top-shelf amenities are also available to club members. This 823-acre gated community located south of Carefree’s impressive Black Mountain offers homes in a variety of sizes starting at 1,400 sq. feet and going up to about 3,800 square feet. Home purchase includes membership to the Terravita Country Club, which gives residents access to a fitness center, clubhouse, pool, and tennis courts along with an award-winning 18-hole golf course designed by Greg Nash and Billy Casper. Dining and exercise trails are also available. A 1,800-acre community with 13 neighborhoods located north of Pinnacle Peak, Troon North has multiple home options, including townhomes, condos, and single-family homes. Its highly recognized public golf club boasts two world-class golf courses: The Pinnacle Course designed by Tom Weiskopf and The Monument Course designed by Tom Weiskopf and Jay Moorish. 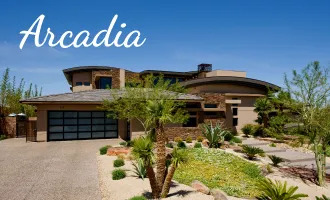 Centered around Troon Mountain, this collection of gated communities features everything from townhomes and patio homes to custom estates with amazing mountainside and valley views. Some of the best views are in the neighborhoods of Troon Ridge, Windy Walk Estates, Glenn Moor, and Troon Fairways. Within Troon Village is the Troon Country Club, featuring a pool, fitness center, tennis complex, and an 18-hole golf course designed by Jay Moorish and Tom Weiskopf. The country club also provides a variety of social activities. Hiking is also available. This unique 850-acre guard-gated luxury community offers homesites from 1-5 acres, giving homeowners plenty of privacy and uncluttered views of the desert landscape. The community includes a tennis complex, fitness center, miles of exercise trails, a half-court basketball court, and a community park. Touted as a top golf community in North Scottsdale, Whisper Rock features the private, invite only Whisper Rock Golf Cub with two courses: The Lower Course (designed by Gary Stephenson, Phil Mickelson) and the Upper Course (Tom Fazio). Membership is not included with home purchase. 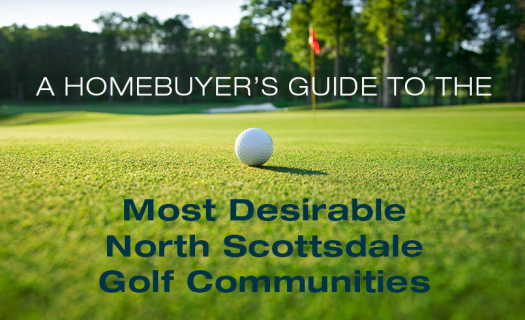 As you can see, there are a variety of high-end golf communities to choose from in North Scottsdale, including some of the best golf courses in Arizona, with home options to fit many budgets and preferences. If you are having trouble narrowing down your options, get in touch with Thomas Osterman, a top N. Scottsdale real estate agent with over fifteen years of experience helping buyers find the perfect luxury homes. 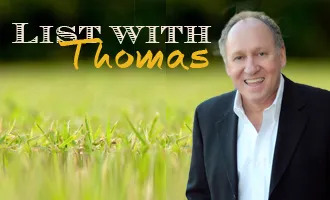 Once you let Thomas know what you are looking for, he can guide you towards the communities that fit your needs. 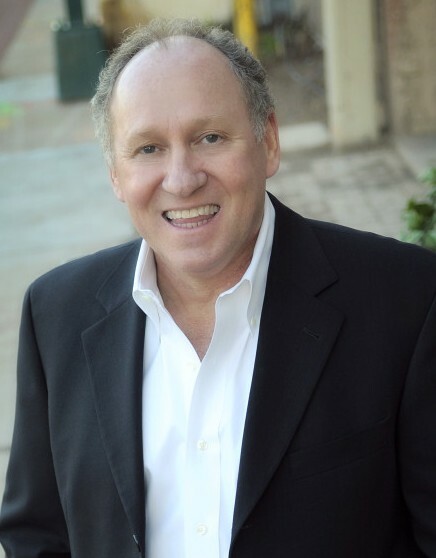 As one of the best realtors in Scottsdale AZ, Thomas Osterman knows the North Scottsdale market like no one else! 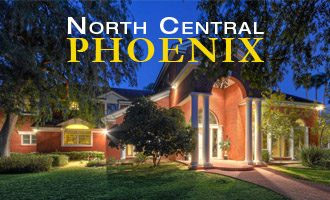 If you are looking for a home in one of N. Scottsdale’s many golf communities, call Thomas at (602) 466-1846. He can help you find just what you are looking for.